High quality diamonds ensure a fast working speed and a very good tool life. For a smooth surface with a high glossy effect and an excellent clarity of the surface. No staining of the pads on the surface. Especially recommended for light colored and white floors. Also for the use in heavy machines. Resin bond pads with 12 mm segment height. With velcro-fastener and color code for the grade of the grit. 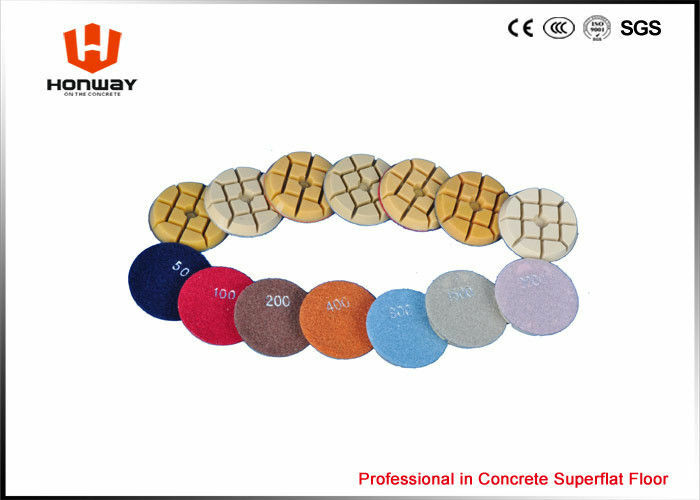 Q:How many sqm a set of Honway diamond grinding pads covers? A: The life of diamond pads are determined by many factors. 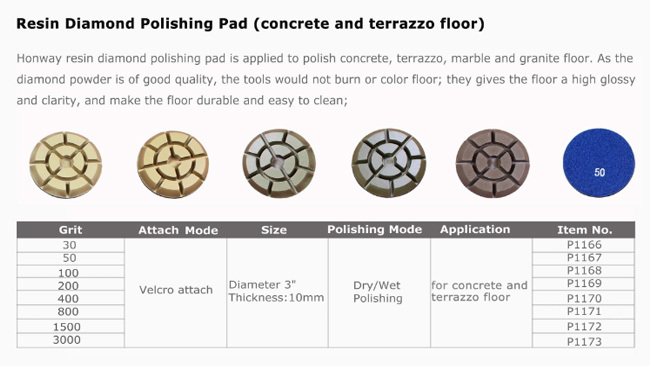 It is related with floor condition (bad, ok, good, smooth...) and the workers' technique (walk one time or walk 3-4 times), machine weight and performance...so the consummation of floor diamond pad is different. It is hard to give a data which covers all floors. 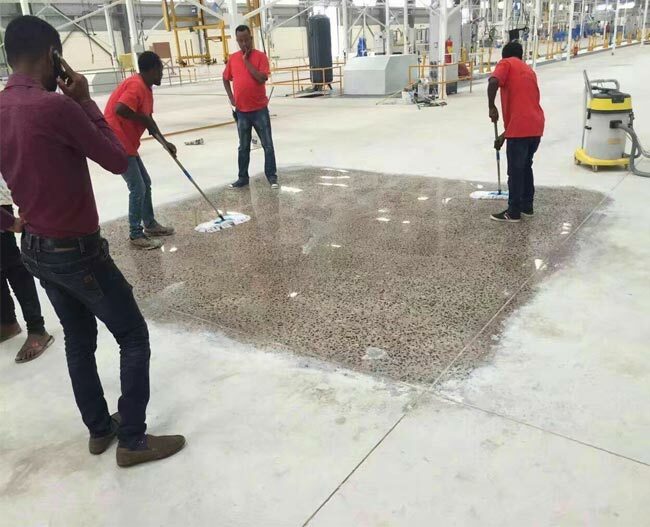 Under normal condition, (the concrete is medium hard, the floor condition is ok) the floor grinding pad #30 could cover about 500sqm, #120 about 600-800sqm (if the floor is good, 1000sqm); the floor polishing pads #50-#200 (to remove the floor scratches) about 400sqm, #800, about 1000-1200sqm. This data varies, not a fix data. But we could assure that the diamond powder and martial is the best level in China. Q:I am confused to choose the suitable Honway grinding pads for my floor. A: Please tell us the floor condition and your requirement for floor finish; we are glad to guide you how to choose.